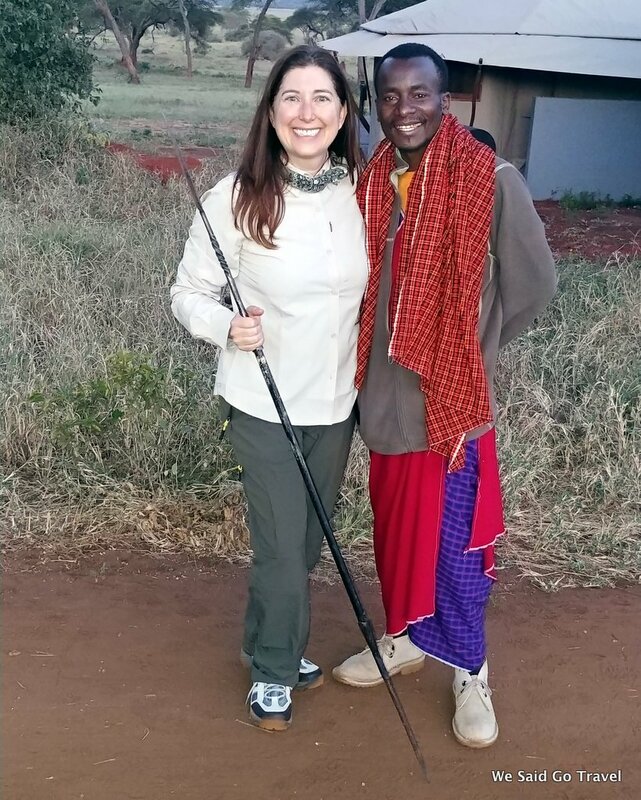 Join me on my first safari with Abercrombie and Kent in Africa. 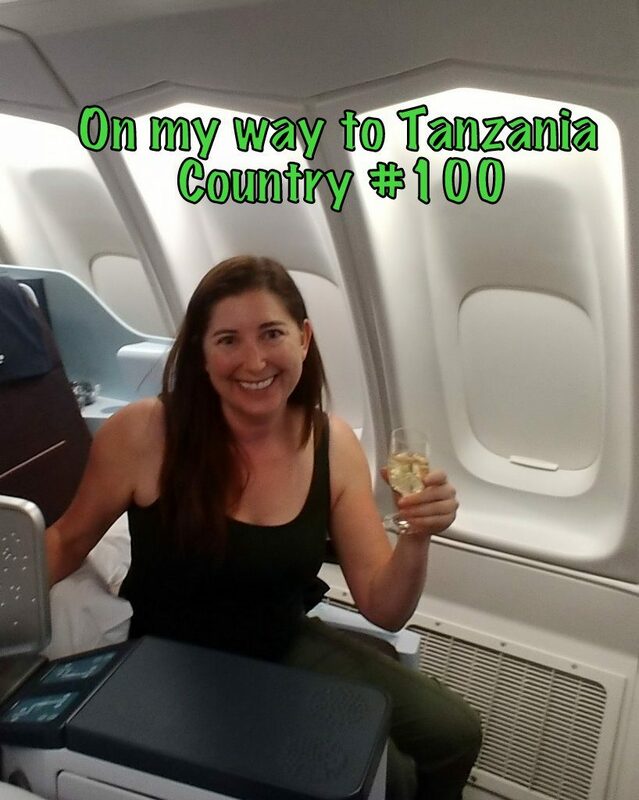 I have this and quite a few more videos to share of my Tailor Made Small Group Journey to Tanzania, my 100th country, and Kenya. I am so excited to share all of our experiences with you. I flew from Los Angeles, California to Amsterdam, Netherlands and then Kilimanjaro International Airport in Tanzania. We stayed one night in Arusha at Mount Meru Hotel before beginning our safari adventures. From Arusha airport, we flew to our first safari camp, Sanctuary Swala. We saw animals from the short plane ride to Kuro Airstrip where we were picked up by Sigi from Sanctuary Retreats to start our first game drive. What animals did we see? Watch the next video to find out! Within minutes of setting out on our first safari game drive, we saw a family of elephants. A group of elephants is called a herd or a parade. I loved seeing the baby elephant. If the baby can fit under the mother, it is usually less than six months old. African Bush Elephants can live 60 to 70 years and elephants are born after a two year pregnancy. I was thrilled to realize we were close enough to the elephants to take selfies! I had hoped we would see many animals on my safari but I was not sure if they would mainly be far away from us. We saw many birds including Southern White Crowned Strike, Lilac Breasted Roller, white-bellied bustard, crown hornbill, gray crowned crane, ostrich, marsh eagle, African vulture, and Western Red-billed hornbill. I loved seeing a zeal of zebras. I was shocked when four of them rolled in the grass and dirt. I felt like we were in a scene from a movie. I just could not believe how many animals there were. I also loved seeing different types of animals together. Watching giraffes walk makes me happy. I love how majestic they look. 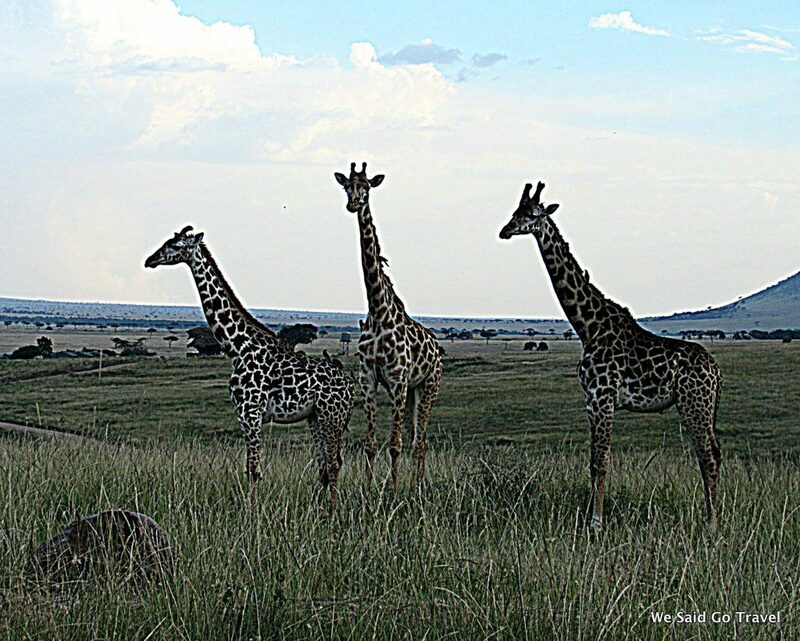 A tower (or kaleidoscope) of giraffes is formed when two or more giraffes stand with necks together on safari. When we saw a warthog and someone said, “Pumba,” I felt like the movie The Lion King was coming to life. Observing the animals while they were walking, drinking and moving was mesmerizing. I made separate videos of each of the animals that we watched for long periods of time so you can enjoy them too. You can find them at the end of this playlist. My two favorite things on safari where watching animals cross the road and seeing the baby animals. I made a separate video of those two things together. We saw black faced monkeys and later in our trip we would see Olive Baboons! We saw all of the animals mentioned here before noon on our very first game drive. After our picnic lunch under the Acacia trees, we saw another parade of elephants and a leopard! On our first day we saw two of the Big 5! At 5pm as we were headed to our camp, we saw African Buffalo which made 3 of the Big 5 on our first day. Sanctuary Swala would be our home for the night and it had recently re-opened. 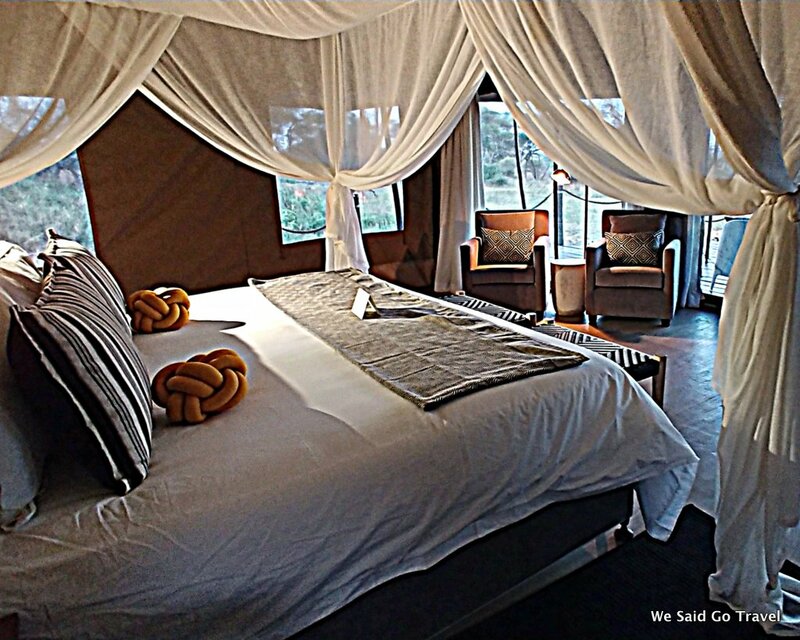 Our stunning luxury canvas tents had every amenity including both an indoor and outdoor shower. We were taught about how to call for someone to walk us to the dining area after dark. You take a flashlight and shine it into the trees. It is like asking for your own superhero to accompany you and a Maasai warrior with a spear will walk you safely to the main area. There are no fences at Sanctuary Swala so there are animals all over the camp. I loved the meals with a view, pretty pathways, the animals close by and my very comfortable bed.